From space, the astronauts tell us, national boundaries vanish, the conflicts that divide us become less important and the need to create a planetary society with the united wills to protect this "pale blue dot" becomes both obvious and imperative. Even more so, many of them tell us that from the Overview perspective, all of this seems imminently achievable, if only more people could have the experience. Vern Burkhardt (VB): What is the vision of the Overview Program which you have developed? Charles Smith: The vision of the Overview Program, is that businesses, communities, and governments can move forward with a transcendent, overview perspective. They can have a noble purpose and a business purpose with equal conviction. This duality of purposes, a counterintuitive commitment, will generate conversations that never happen otherwise and the outcomes will be entrepreneurial, economic, and social successes. What's new about the program is that something remarkable happens to action and collective performance when you combine an experience of awesome transcendence, with personal awareness of how stuck you or your teams are in your own self-created limitations. The intention is to move together from "me" to "we." In our view, what's new is that these elements have not been addressed with equal conviction in real time and with dramatic, evocative visuals and company-relevant dialogue. I think you'll often find these in different places but not in a combination such that it enlarges the context in which people are doing their problem solving. This overcomes the trap, the limits of the situation, and moves them to indivisibility and acting as one unit. This is what we are looking for. If the universe is full of adjacent possibilities, I'm looking to generate a possibility that you can't see simply by looking at vision, at where you're stuck, at performance, or at relationships. If you put all of those in the same place with individuals who are thinking about wholes as well as parts, you're often going to see something that was not previously thinkable. VB: During our September 2010 interview you referred to what author Frank White has described as the Overview Effect. Would you remind us what this is? So it is a change in identity from part to whole. In 1986 when Frank White interviewed astronauts about what happened when they travelled into Earth orbit or went to the moon many of them reported a shift in their point of view. They saw no borders or boundaries on Earth. They began to see the planet as one thing; that we're all one people. This change in mindset or point of view made a number of them more socially conscious and active when they returned from their space flights. VB: Did they all come back with this new point of view? Charles Smith: No. The degree of change seemed to have a lot to do with their readiness for it. Some had a hard-engineering bent and didn't report this experience. They went up, did their job, and came back. Others had a massive "Wow!" experience. VB: Did this transformation last after they returned to Earth? Charles Smith: It did with some of them. Story Musgrave was the lead space walker in the repair of the Hubble Telescope, and he now consults and leads programs for organizations around the world. He brings the opportunity for high individual and team performance, and a new point of view through transcendent and dramatic space visuals, stories, and technical expertise. Edgar Mitchell, who walked on the moon, together with Paul Temple co-founded the nonprofit Institute of Noetic Sciences to conduct research on human potentials such as consciousness, alternative healing practices, meditation, psychic abilities, and survival of consciousness after death. Rusty Schweickart has been involved in a number of active causes, most recently related to the risk of asteroids hitting the Earth. All are high purpose causes. The persistence question is important and is part of the reason for our Overview Program. For the most part an overview experience doesn't persist unless the shift in awareness is coupled with other critical elements related to performance. For example, it doesn't persist if it doesn't turn into action in new and cooperative performance- based activities. This can happen from a single-minded purpose when you're performing a task together. You can see this in pictures of the Hubble telescope repair missions. In the first major repair and maintenance of the Hubble Space Telescope Story Musgrave and Jeff Hoffman completed three of the five spacewalks. They, along with the other astronauts and the ground support crew had no choice but to act as a unit. It's like unit cohesion in the military – committed action, integrity, and promise. If you put all of those together you get something absolutely exceptional. One of the problems with seeking transcendence or transformation, for an individual, team, company, or community is that the field of play is the person's mind. We ourselves are the context. As said in the film "Kung Fu Panda", "There is no secret ingredient. There is only you." VB: I presume community has a broad meaning. Charles Smith: Yes, I've been doing some work for a Chamber of Commerce in Florida. It's my first experience with a public community. There are many kinds of communities. Churches and Temples can be a community. A country can be a community. Keeping a boat safe on a dock with others is a community. It has to be. The vision for the Overview Program is to solve some intractable business, social, and community challenges. Our goal sounds like pie in the sky, because there is dysfunction everywhere you look. Dysfunction in government, business, and relationships is all over the place. It almost seems like an addiction and that people need it. The most important question we are asking is, 'Can we invent for ourselves a point of view from which dysfunction will disappear?' The end of dysfunction is an idea whose time has come. VB: Does dysfunction usually lead to conflict? Charles Smith: It leads to the persistence of top dog/underdog, and to forced compliance in business and personal situations. Dysfunction drains people's energy. Companies with the most available energy win, and dysfunction drains the energy out of them. However, dysfunction often doesn't stop companies from making money and it's often difficult to get senior leaders to act on it. Dysfunction isn't on the operational radar for many except in emergencies. VB: It seems surprising that they wouldn't want to address dysfunction. Charles Smith: Well, it's not personal but more a function of people's position. If you talk to people lower in an organization, they more often than not want the company to work on the dysfunction. People at the top want to work on productivity, profit, and strategy. It comes from their perspective and what they are paid for. You could take somebody from a lower position and promote them to a more senior level, and they'll often begin to lose interest in dysfunction. There's a relationship between power, position, and perspective. VB: Could it also be that they don't want to appear to fail, and tackling dysfunction without knowing how to resolve it could lead to failure. Charles Smith: Absolutely. I consulted for 18 years for a global consumer goods company. One day a woman said spontaneously, "There's only one explanation for all that goes on here, and it's to keep the people who are in power in power." They're not going to do anything about dysfunction that's apt to rattle their cage. I don't think it's worse than ever before but the information about it is everywhere. I think that because of the media there's a broader reach for people with fundamental points of view. In the Overview Program, we are creating a new point of view. There are glimpses of how to do it when someone lands on the moon, or you look at Hubble images of the earth from space and images of the galaxies. What if we solved our problems in the presence of that type of experience? What would it say about our projects in the context of the larger whole and our own sense of responsibility? VB: We'd likely be looking at the larger, substantive problems and searching for solutions. Buckminster Fuller used to pose the question, "In this extraordinary moment in time, what is the most important question I can ask?" In the presence of your newborn child or when looking at a startling photo of the Earth, the answer to that question is different. From this question you can ask, "What do you want to do with the company? What do you want our purpose to be?" What are we capable of? The idea, and we now have some evidence for it, is that people then start framing their intentions for the company or the team from a much larger goal, purpose, or vision. They ask, "What is this company really about?" VB: Ultimately, the goal of corporate leaders of traded companies is to keep the share value up, which means doing a lot of things to increase sales even if it creates dysfunction. Charles Smith: Yes, but not all behave this way. There are a lot of great business and community leaders who either have a noble purpose, or want to develop such a purpose amidst all of the other demands they face. VB: Your vision includes supporting a cadre of individuals who will be transformational leaders. Is this needed today more than ever to deal with social, community and business challenges? Charles Smith: Absolutely. There's a book by Thomas Berry, The Dream of the Earth, which talks about how the resources, atmosphere, and opportunities on the planet are being drained. He makes a convincing case that humans have created an environmental doomsday machine. There is an equally troubling and significant list from the growth of excessive debt, government bureaucracy, military expense in place of domestic needs, and vastly increased attention to financial management rather than creative production. At the highest level, the Overview Program is aimed at species survival. At a practical level, the program is aimed at what the sponsors want to accomplish. VB: You must be optimistic that we can effectively take on these issues. Charles Smith: I know we can take them on. We have demonstrated this numbers of times. You can transcend a point of view as long as you can get a small group of people to stick with the intent to generate a positive outcome – a virtuous or noble purpose and a pragmatic purpose. VB: Are you optimistic that through this program an increasing number of transformational leaders will emerge? In the past it has been difficult to find reliable ways of identifying a large number of people to take on transformational challenges. You find some. By starting the effort with an overview perspective in the context of what they care about increases the number of candidates. VB: Where is most of your work? Charles Smith: I'm not doing much hands-on consulting work right now. Currently, I am consulting in Canada, Switzerland, and Florida. Over the years, my work was primarily in the United States, Canada, and England. VB: Have there been lasting results? Charles Smith: The lasting results reside in some of the individual leaders and other people who participated. The lasting results haven't resided in companies. Often, powerful results in companies dissipate when the leaders change because they haven't gotten to the ethical context of the company itself. There have been a number of people who've gone from company to company and recreated the transformational phenomenon on their own. There is no such thing as transformation. It's a fiction. There is only transforming. It's like a relationship. When we stop creating our relationships they go away and are not real. Transformation is always in the present. It's always a new possibility, a new opportunity, and a new enthusiasm in the present. As soon as you stop intending it, you stop creating it, and it goes away. It then only exists as information in your mind, and not as something that evokes possibility, wonder, or new opportunity. VB: You describe the Overview Program as being a juxtaposition of transcendent experience and direct personal and group training. Would you explain? Charles Smith: Remarkable advances in science, art, business, and even your own life come from those times when you're able to hold opposites in your mind at the same time with equal conviction. Picasso talked about it. Einstein also talked about it. Most people live in an either/or universe. It's either transcendent or it's pragmatic. It's either right-brained or it's left-brained. Contraries induce innovation. They induce new products. How did Steve Jobs do this? It's got to be by putting together contraries, things that people don't usually put together. VB: How does this compare with a transcendent experience? Charles Smith: Transcendence is one pivotal part of the equation. There are many paths to Transcendence. Space is a path that has captured public imagination all over the world. Transcendence involves a visual, emotional, and tactile experience. It's an experience that's too complex to think about. People love the mountains, seas, flowers, and little children. You can't explain them. They evoke an uplifting sense of wonder, a sense of becoming more than yourself. VB: You say, "The Overview Program will result in a change in attitude, orientation, or perspective to grapple with seemingly impossible circumstances." Is there anything more you'd like to say about this? Charles Smith: When somebody goes beyond their identity, beyond their typical way of playing small, or beyond what they always avoid or don't like, they're willing to listen to and engage with others. When this happens more things become possible. A self-limiting belief stops possibility. It's you who identifies limits about yourself to yourself, which explains why the possibility is not possible. The self-limiting belief is a trap. "I'm not smart enough." "No one's ever done it." "If I do that I'll lose control." When people get beyond their trap, which is in their own mind – individually, culturally, or collectively – they see where they're stuck. There's a possibility beyond where they're stuck. They're willing to take on what was previously considered to be an unreasonable intent or activity. VB: What do you mean by the trap? Charles Smith: I mean that almost everyone has an explanation for what's going on in the world and with themselves. They have an explanation for who they are, why they are the way they are, why other people are the way they are, why their company is that way, and why the government, liberals, conservatives, or the markets are the cause of the problem. The mind is an explanation-making machine. Our work is aimed at throwing a monkey wrench into the explanation making long enough so that people can think. The German philosopher Martin Heidegger said, "Only that which is worthy of thought will cause thinking." It all seems to get summed up in our identity and our explanations about who we think we are. That's the trap and we are stuck with it. Some astronauts experienced a shift in identity, and we want to invoke a similar shift in the Overview Program workshops. VB: What does it mean to have "bold intentions based on the whole rather than the parts?" Charles Smith: There are examples of such singular purpose in the world. One is unit cohesion in combat, "All for one; one for all." You sometimes see it in relationships or marriages. Players on basketball teams talk about being "in the zone" with one other. People's attention is taken away from how they are different from others, and instead they find incredible commonality. Sometimes it becomes an "us" and the problem begins to solve itself. The challenge is to induce this at will. I want us to create a small number of abstractions that let people see the world differently so they can choose to be a part of that type of focused energy. VB: Would you talk about how abstraction fits into this? Charles Smith: An abstraction is what makes something possible. Balance is an abstraction. You try to ride a bike and can't because of a lack of balance. All of a sudden you've got balance – that's an abstraction. You can't see it but it is what lets you ride the bike, and then forever more you know the difference between balance and no balance. It's so easy for me to slip away from being part of a common purpose to being "either/or". When we are doing something together, it is a powerful idea which we can explore and invent for ourselves. It's the possibility of being in the same boat. VB: Would the Overview Program work best if you had all of the senior leaders of a company working together. Charles Smith: Yes, one of our aims is to involve all of the senior management of global, multinational corporations. VB: Will participation in the program help companies be more innovative and successful, as well as having a noble purpose? Charles Smith: By innovation, I don't mean making a more attractive box or package for shipping a cookie. Innovation and creativity come from freedom. The most innovative people I know are kids. They're always making stuff up. They're outside the box. Imagination is the source of innovation. You don't find as much imagination as is needed in many companies. People largely don't think about things they're not paid to think about unless they are otherwise stimulated. If more leaders embraced the Overview Effect and the commitment to unthinkable performance people would think more with the resulting positive impact on innovation. I read a wonderful statement by Eric Hoffer, who wrote The True Believer: Thoughts on the Nature of Mass Movements in the 1950's. He said that creativity and imagination come from play. They don't come from a focus on application. By contrast, many of the corporate innovation activities I've seen have a strong application focus that suppresses creativity. Google and Apple seem to have broken the code for this. VB: Do you think that politicians would be interested in having this type of conversation? Charles Smith: Yes. We recently had a half-day program with 175 people, and we had a politician attend who said afterwards he wanted to talk about the major issues we had raised. VB: In the U.S. political system after two years into a presidency people increasingly focus on the next presidential election so it's difficult for politicians to take the long-term view you're suggesting. It is therefore likely more difficult for them to consider a noble purpose. Charles Smith: Yes, it's a much more obtainable idea at the level of a community or corporation. Our focus is on people who are looking for specific shifts, and to enable leaders to grasp and come to grips with the question, 'Can you have both a noble purpose and a pragmatic purpose, paradoxically in tandem?' We think so, but a lot of people think not. They think the business of business is business. VB: Is the non-profit sector more likely to lead the transformation you are thinking of? Charles Smith: Possibly, but I have high hopes for some corporations. There are a number of corporations who are already into this, either nominally or substantially. In some cases it's evident in only parts of the corporations. It's an individual matter. I'm finding individual leaders who care about having a situation that's good both for people and for business. And they have to mean both; it's not going to work with just lip service. The key is to find those leaders, empower them, and thereby get the most leverage. They could be in the nonprofit sector or in companies. VB: While these leaders haven't experienced zero gravity by being in space I gather some have experienced the Overview Effect. Have you figured out what the difference is between those who are open to this approach as compared to those who aren't? Charles Smith: I recognize them when I meet them by the questions they ask, and what they're looking for. Zero gravity and being in space is not required to experience some aspects of the Overview Effect. In his book, Frank White talks about "Overview Analogues." You can look at the mountains or climb them and look down. You can meditate. We talked last time about "Beginner's Mind." It's about presence. Eckhart Tolle said the quality of present consciousness shapes the future. I'll give you an example. We went with my boys to Ireland and Scotland for most of July. As we entered Scotland we came to a bridge called the "Bridge of Awe". We looked at it, and thought 'wow'. All of a sudden we were prepared for whatever the awe might be. Afterward the awe either happened, we caused it to happen, or we were sensitized to noticing it. We met wonderful people and saw beautiful views in unlikely circumstances. The story shifted from 'we're going to go have a meal' to 'what happens when you cross the Bridge of Awe', and this experience went on and on. These leaders already have a respect for, or a willingness to recognize, what's awesome, ineffable, or wondrous. They are not simply located in the physical universe. In my book, The Merlin Factor, I talk about Avalon and Glastonbury. In ancient times Glastonbury was the city of the priests, of things, objects, trees, machines, and churches. It was the city of performance and productivity, and of physical things. Avalon was the city of the priestesses. It was the city of harmony, relationships, and uplifted spirit. In the legend King Arthur knew that he could not unify the kingdom from the physical universe alone, because it was object-based. It was linear and forceful. He had to get to Avalon. Merlin took Arthur to Avalon where he learned how to unify the kingdom – the Merlin Factor. One goal of the Overview program is that people will engage in dedicated practices to improve their performance as leaders in Glastonbury, to improve their relationships as leaders in Avalon, and to improve everyone's performance by enhancing their ability to look at situations from the perspective of the whole. This would help global multinational corporations that are having a hard time realizing collective implementation. They may be segmented into different operational units with the result that efforts are fragmented. People go their own way, are superficial, or set small goals. The leaders we look for are able to see and act on Avalon and Glastonbury at the same time. It's not either/or. From this place magic in innovation, performance, and culture always happens. VB: Would you say we're born with a lot of this hard wired, or is most of it learned? Charles Smith: A lot is learned. Even for the part you're born with, and I think there are lots of parts you're born with, if you develop the right point of view you can bracket what you're born with. Gestalt therapy teaches the idea of bracketing. For example, I may not want to work with an individual, but I'll bracket this feeling and then proceed to work with that person. VB: It's not explained by the fact that many large organizations have lots of processes, complex structures, and rigid policies? Charles Smith: It's hard-wired into their way of being. I've proven over and over that you don't have to change an organization's structure. You have to change people's way of being with each other, and with the world. When you do this, it doesn't matter what the structure is. It seems counterintuitive because normal behavior is to keep changing the structure. If you look at the impact of most of those structural changes, they don't change the way of being. VB: Restructure but nothing substantive changes. Charles Smith: Nothing changes because they haven't gotten to the truth of the relationships. How people are with each other is the foundation of accomplishment, and this is the challenge most organizations face. VB: In a company or other types of organizations does transformational change require a critical mass of people rather than the efforts of only the leader? Charles Smith: My own experience says it always starts with one person, but I've begun to question this assumption. Recently, I see that the example of the Arab Spring applies as well. It started with one person publicly refusing to continue the old way of doing things. Then Facebook, Twitter, and other social media seemed to cause meaningful changes without a single source. The evidence for this in a company is that it takes a significant number of people to feel that they count personally and can make a difference, and that the company is "for them" as well as them needing to be for the company. Transcendence, transformation, and championship performance are not linear phenomena. They are measured by the rise in personal energy in individuals and groups. And you don't get or sustain such a rise by only trying to make money. VB: Would you say that with the rise in personal energy success is more likely? Charles Smith: If you look closely, you'll see that as your personal energy rises the world around you improves. It's remarkable and is a way of explaining how things work. If you focus on maintaining the rise in your energy a rise in everything around you will happen. This is a counterintuitive, nonlinear way to look at it, but it works. The skill that's needed is to learn how to pick yourself up when you get knocked down, because all of us get knocked down all the time. VB: Would a rise in energy at a company level work the same way? Charles Smith: It would be the same thing, yes. It relates to the individual, and to collective energy which is the sum of the individuals' energies. This has always been the measure and predictor of significant improvements in performance, mood, participation, sense of health, well-being, and money. VB: Is it a call to action like John F. Kennedy's call to land on the moon and return safely back to earth, which appears to have created a collective energy at a national level? Charles Smith: Yes, and sometimes it 's a threat that does it. One way to raise energy is to promise what you cannot predict provided the promise is something considered desirable. Kennedy promised that we would go to the moon in ten years and bring the astronauts back safely. Ultimately what people buy into is the promise itself, and the credibility and legitimacy of the person promising it. This isn't happening today. You can explain this a thousand ways but the fact is it's not happening. VB: Is your use of the term 'promise' different than the concept of vision? Charles Smith: Yes. It means I say something will happen, but not as a prediction. It's a declarative statement – a promise. We could not predict that the astronauts would land on the moon. If we say this talk will end in an hour, it's not a promise. It's a prediction. The matter of promise raises the whole question of integrity. Integrity is defined as people giving, keeping, and honoring their word and that is not present today. Too often, we see people bouncing between changing current interests and giving opinions, rather than commitments. VB: What is your future plan with the Overview program? Charles Smith: We're bringing this to a number of corporations and non-profit organizations which want great leaps forward in corporate social responsibility and improvement in collective performance. We're also including a focus on Alternative Dispute Resolution. From this base we will move forward. VB: You have a 42-year history in transformational thinking and change management practice. Does this program represent the culmination of all you have learned over this period of time? Charles Smith: Much of it. I have two programs active right now. One is the Overview Program, and the other is the Merlin Journey. The Merlin Journey is individual training, and entails going down the path of becoming a transformational leader and the best human being you can be. The elements include Practicing the Power of Now, Future Focus, Harmony Through Conflict, Breakthrough Results, and Energy Expansion. It has self-directed online work in the context of a powerful business or organizational goal. We also have coaching conversations by telephone and face-to-face meetings. It's for people who want to lead transformational activity in their own spheres of influence. VB: Is there anything else we should discuss about this topic? Charles Smith: Could you summarize the essence of what you think I've said? VB: The Overview Program encourages leaders, whether they are leaders of corporations, nonprofits, public sector, or other communities, and the people within those organizations, to experience transformational thinking enabling them to focus on a noble purpose as well as their business purpose. The program goal is to expand the number of transformational leaders to create significant change and performance improvement for the big issues we are facing on a local and global basis. Charles Smith: I appreciate your interest and willingness to discuss this. You ask great questions, and I learn every time we talk. VB: Thank you for talking to us about your Overview program. Best of luck with it. The Overview Program aims to generate a growing cadre of transformational leaders who will work to end dysfunction by beginning to solve many of the social, community, and business challenges we face. This should enable organizations to move forward with both a business and a "noble" purpose. Charlie Smith says that this change in consciousness will enable creative and innovative performance, breakthrough outcomes, and uncharacteristic actions. This vision is timely, given the need for new approaches to solve the world's financial instability, threats to world peace, and all of the other dysfunctions we face. Dr. Charles (Charlie) Smith is a graduate of the Boston Public Latin School, and has a Bachelors' degree in Social Relations from Harvard College, a Master's degree from Harvard Business School, and a Ph.D. in Organizational Behavior from Case Western Reserve University. He also has a certificate in Gestalt Methods from the Gestalt Institute of Cleveland. Since 1969 he has been a change management consultant and executive coach to senior leaders of companies, associations, and government agencies in the U.S., Canada, and Europe. His focus is on stimulating possibility thinking and helping leaders and groups do what they are capable of, and not just what they already do. He has served as Visiting Associate Professor of Organizational Behavior at Sir George Williams University, and taught at the McGill University School of Education and the McGill Centre for Management Education in Montreal, Quebec (Canada). He co-founded the Middle Road Foundation for Native American Youth in Taos, New Mexico. Together with Frank White, author of The Overview Effect, Charlie Smith has developed The Overview Program. The goal of this program is to bring about a shift in leaders' and organizations' point of view and ability to take on difficult challenges. 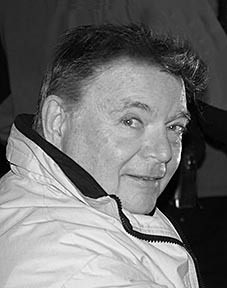 Charlie Smith is the author of Navigating From The Future: A Primer for Sustainable Transformation (2009), and The Merlin Factor: Keys to the Corporate Kingdom (1995). The Merlin Factor has been translated into Chinese and Romanian. He has written numerous articles on personal and organizational development including "The Merlin Factor: Creating Ambassadors from the Future," "Explainers Anonymous," "Mentoring Leaders with Vision," "Board Dialogue as a Path to Competitive Advantage," "Who Stole My Synergy," and "King's Counsel" which was published in the London Business School's Strategy Review. He also authored the chapter "Stage Three Leadership: From Good Ideas to Unified Action," which was published in 2006 in Beyond Earth: The Future of Humans in Space. Charlie Smith may be reached at either smcharlie or merlininstitute.